Hi. 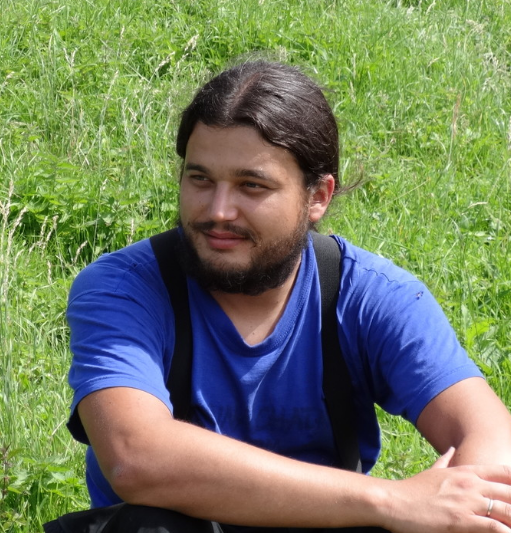 I'm Milos Gregor, a real person hidden behind this project. I'm software developer, data scientist, hydrogeologist & caver. In the case of any problem, question or comment, please feel free to contact me. In the field of software development I'm active for more than 13 years. My tools are installed and used on over 80,000 PCs around the world. I have clients in many areas, ranging from universities, scientific institutions, data science / analytics and marketing companies to banks, non-profit organizations or mining companies. 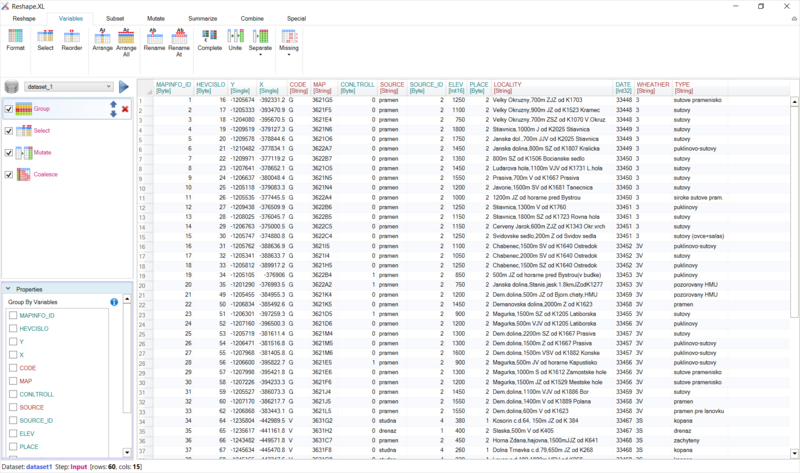 Reshape.XL in an Excel add-in for data processing. With this add-in you can clean, complete, reshape, wrangle, summarize, edit, subset, select, format, separate, unite, pivot, unpivot, combine your data that are messy, incomplete, contain many records and variables. 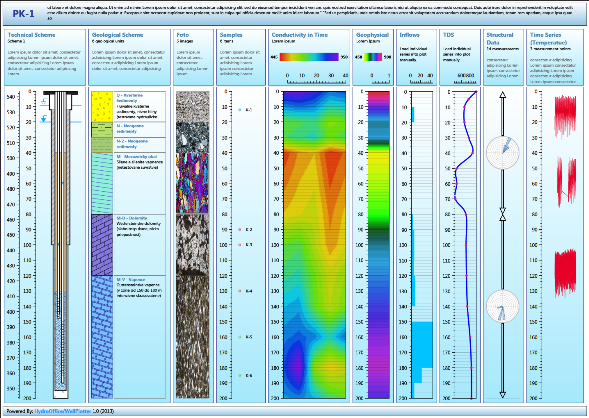 HydroOffice is comprehensive software package for hydrologists, hydrogeologists, environmental engineers and meteorologists. Software package includes 14 independent tools. Excel add-in for spatial data analysis and visualization. 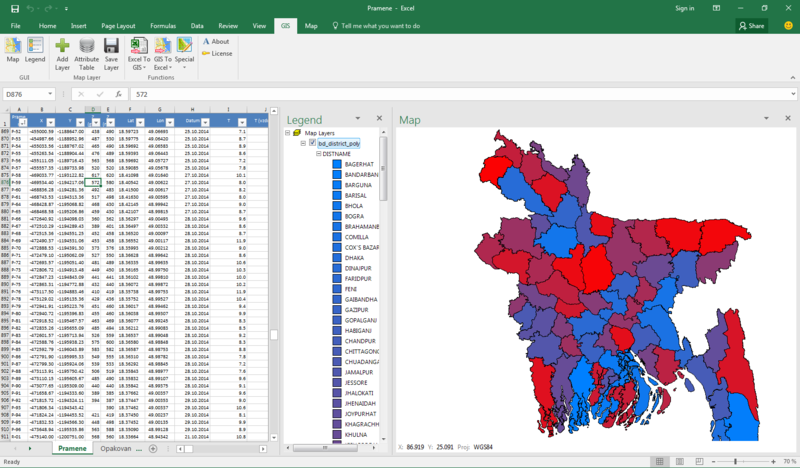 Powerful features of GIS and Excel inside one window.